It’s quite the identity mind bender being Mrs. Q. I’m myself, yet not. Most days I don’t like it. But anonymity has its pluses: I’m still employed and I’m still blogging. This summer I’ve been immersed in Mrs. Q. I react to something with the thought, “How would Mrs. Q feel about that?” I can tweet freely during the daytime hours if I choose to. Summer is such a fun time, but right around the beginning of August I focus on finishing up summer goals. Usually I’m running around trying to complete multi-step tasks. I have reorganized some cupboards, some closets, and under the sinks. I have gone to the doctor and to the dentist. I read some of the latest research out there for my profession. We got some family pictures taken and I filled out some random paperwork for work. I didn’t get around to a few nagging things. Nothing big, but stuff that is much, much easier to do over the summer than during the school year. It’s also about this time that I start getting excited about returning to work. I’m really excited about the school year. You know, the summer passed by faster than previous ones. I have been very busy with the blog. I just don’t know what I did with my time last summer! 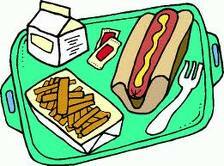 I’m already getting nervous about the school year, eating school lunches again, and keeping up the blogging. When I’m working all day and blogging all night, it feels like I never get a break. At least until the weekends. And I’m thinking about after the project a little bit. I might just put it off until the project is closer to completion…. So do any of your co-workers every talk about Mrs.Q to you? No one has ever brought up Mrs. Q to me. Maybe it will change this Fall. I hope I can still fly under the radar…. That would be too funny. I don't know if I could keep a straight face if that were me.